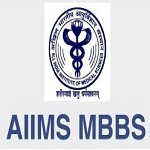 All India Institute of Medical Sciences, New Delhi conducts the AIIMS PG entrance exam. It is a national level entrance exam twice in a year. On the basis of this entrance exam, students can get admission postgraduate medical courses like MD/MS/MDS/DM/M.Ch in the affiliated colleges of AIIMS. 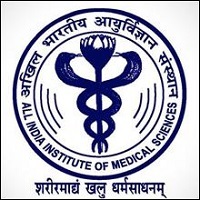 Check all the details about AIIMS PG Application Form 2019 such as Exam dates, application form, eligibility criteria, and steps to apply in the article below etc. The application form can be submitted through online mode. Applicants are suggested to fill the AIIMS PG Application Form 2019 before the due date. Fill the application form carefully as no editing will be allowed after the last date of application form. Students can select the city of examination of their choice. Keep ready with the scanned copies of the photograph (50-100 kb), signature (20-100 kb) and left-hand thumb impression (20-100 kb) in a jpeg, jpg, gif or png format. Candidates can check their application status after the successful submission of application form. Visit the official website to fill the application form. On the home page, click on ’Academic Courses’ tab and select the desired course. A registration page will appear on which you need to click on “Registration/Login” link. Click on ‘Click here’ button give on New Registration section. Read the instructions carefully displayed on the registration page. Select the options given on the page & click on “proceed” button. Fill registration details like personal details, contact details and address details. Read the declaration and click on ‘Register’ button. A message will appear on screen on successful registration which contains ‘Candidate ID’ and ’Password’. An Email and SMS having Login credentials will also be sent to registered E-mail Id and mobile number. The candidate information page will be opened on the screen. Candidates can verify their filled-in details. Fill the educational details and also select the exam centre as per your preference. Make payment of the application fee and upload the required scanned images in the prescribed format. Take the printout of application form and keep the hard copy of it till the admission process gets over. For SC/ST students, the application fee is Rs. 1200/-. The Application fee for UR/OBC students is Rs. 1500/-. The application fee can be submitted through Debit card/Credit card/Net Banking. OPH students are exempted from the payment of application fee. The exam will be conducted in online mode (CBT). For MDS, total of 90 questions will be asked. For MD, the exam duration will be 180 minutes. For MS, the exam duration will be 180 minutes. For MDS, the exam duration will be of 90 minutes. 1 mark will be awarded for each correct answer and 1/3 marks will be deducted for the each wrong answer. Candidate should be completed the 12 months of rotating internship/practical training on or before 30th January 2019. Candidates must have a degree in MD/MS or DNB from a recognized university. The candidate should not be exceeded the 35 years as on 1st January 2019. Admit card will contain all important instructions regarding the exam. The notification regarding result will not be intimated on the telephone or by post to any student. The admission will be completely based on the entrance examination. The counselling will be conducted in three rounds. Candidates have to bring one photocopy of their registration slip along with other original documents, on the day of counselling.